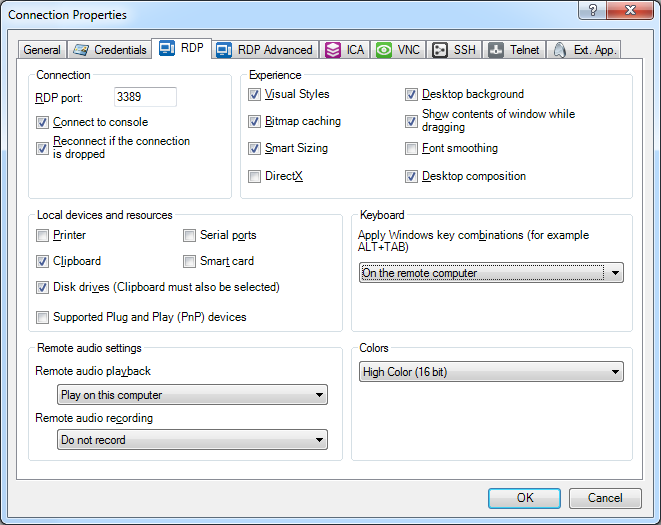 Like MSTSC/RDP, I wanted VisionApp to pass Windows specific key combinations (like Alt-Tab, menu key, PrtSc, and of course Windows key combinations) to pass to the remote. this only work for new sessions. So you will have to re-connect existing sessions to apply this change. This entry was posted on 2015/12/04 at 06:00	and is filed under Power User, Remote Desktop Protocol/MSTSC/Terminal Services, Windows. You can follow any responses to this entry through the RSS 2.0 feed. You can leave a response, or trackback from your own site.